Get outdoors at Rockingham Beach and Quinns Rocks Beach. Fremantle Prison and The Fremantle Round House will appeal to history buffs. Go for a jaunt from Perth to Mullaloo to see Mullaloo Beach about 36 minutes away. There's much more to do: tour the pleasant surroundings at City Beach, steep yourself in history at The Perth Mint, contemplate in the serene atmosphere at St. George's Cathedral, and enjoy the sand and surf at Mettam's Pool. To see where to stay, maps, traveler tips, and tourist information, go to the Perth online itinerary planner . Zurich, Switzerland to Perth is an approximately 21.5-hour flight. The time zone difference moving from Central European Time (CET) to Australian Western Standard Time (AWST) is 7 hours. Traveling from Zurich in December, things will get warmer in Perth: highs are around 35°C and lows about 17°C. Finish your sightseeing early on the 4th (Wed) to allow enough time to drive to Busselton. You'll get in some beach time at Back Beach and Wyalup-Rocky Point. Get outdoors at Dolphin & Whale Watching and Binningup Beach. 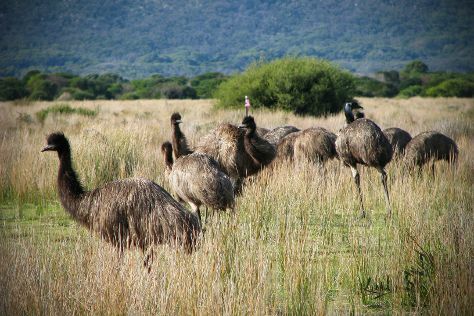 You'll find plenty of places to visit near Busselton: Bunbury (Bunbury Wildlife Park, Manea Park, & more). There's still lots to do: see some colorful creatures with a scuba or snorkeling tour. For reviews, where to stay, maps, and other tourist information, you can read our Busselton day trip planning website . Traveling by car from Perth to Busselton takes 2.5 hours. Alternatively, you can take a bus; or take a train. Cap off your sightseeing on the 7th (Sat) early enough to go by car to Dunsborough. Dunsborough is a coastal town in the South West of Western Australia, 254km south of Perth on the shores of Geographe Bay.Dunsborough is a popular tourist destination for Western Australians; in 1999 it was voted the state's best tourist destination and in 2013 awarded the Top Tourism Award for Population Under 5,000. Escape the urban bustle at Yallingup Beach and Sugarloaf Rock. Step off the beaten path and head to Meelup Beach and Canal Rocks. The adventure continues: contemplate the waterfront views at Bunker Bay, stroll through Smiths Beach, enjoy the sand and surf at Injidup Beach, and explore the wealth of natural beauty at Cape Naturaliste Walking Trails. To find maps, ratings, more things to do, and tourist information, use the Dunsborough trip tool . Dunsborough is just a stone's throw from Busselton. Cap off your sightseeing on the 10th (Tue) early enough to go by car to Margaret River. You'll get in some beach time at Surfers Point and Cowaramup Bay. 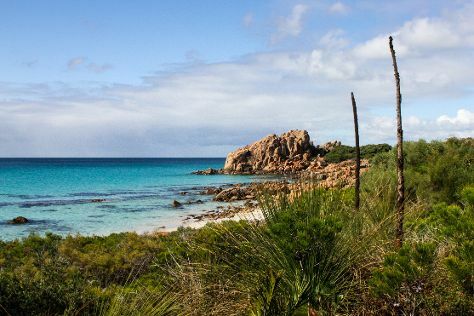 Explore hidden gems such as Hamelin Bay and Caves Road. Next up on the itinerary: look for all kinds of wild species at Sunflowers Animal Farm, admire all the interesting features of Margaret River Venison Farm, enjoy the sand and surf at Gnarabup Beach, and stroll through Margaret River Mouth Beach. To see maps, traveler tips, reviews, and tourist information, read Margaret River visit planning tool . Traveling by car from Dunsborough to Margaret River takes an hour. Alternatively, you can take a bus. Cap off your sightseeing on the 13th (Fri) early enough to go by car to Augusta. Augusta is a town on the south-west coast of Western Australia, where the Blackwood River emerges into Flinders Bay. 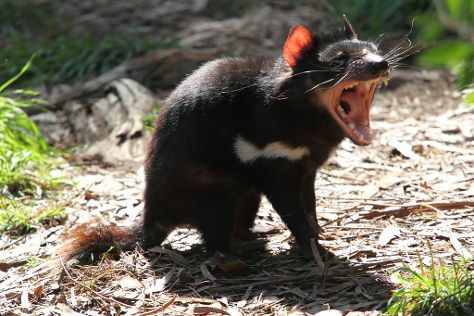 Explore hidden gems such as Beedelup National Park and Boranup Karri Forest. Get in touch with nature at Big Brook Dam and Cowboy Up Trail Rides. Go for a jaunt from Augusta to Pemberton to see Gloucester Tree about 1h 25 min away. 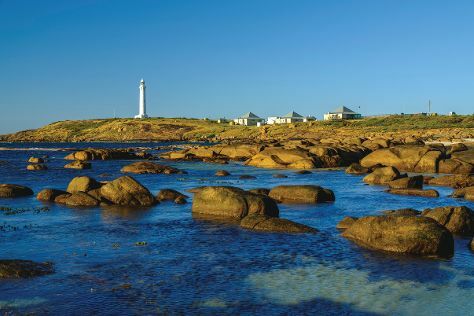 There's much more to do: steep yourself in history at Hamelin Bay Jetty, explore the fascinating underground world of Jewel Cave, and enjoy the sea views from Cape Leeuwin Lighthouse. To see where to stay, ratings, traveler tips, and tourist information, read our Augusta trip planner. Augusta is just a stone's throw from Margaret River. Wrap up your sightseeing on the 16th (Mon) early enough to drive to Albany. 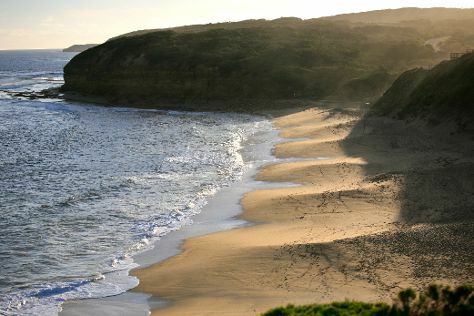 We've included these beaches for you: Emu Point and Nanarup Beach. Step off the beaten path and head to Middleton Beach and Dolphin & Whale Watching. Get out of town with these interesting Albany side-trips: Bluff Knoll (in Stirling Range National Park) and Waychinicup National Park (in Cheynes). The adventure continues: enjoy the sand and surf at Little Beach. For maps, traveler tips, other places to visit, and other tourist information, you can read our Albany trip planner . Traveling by car from Augusta to Albany takes 4.5 hours. Alternatively, you can take a bus. In December in Albany, expect temperatures between 26°C during the day and 13°C at night. Finish your sightseeing early on the 20th (Fri) to allow enough time to drive to Esperance. Esperance is a town in the Goldfields-Esperance region of Western Australia, on the Southern Ocean coastline approximately 720km east-southeast of the state capital, Perth. Eschew the tourist crowds and head to Twilight Bay and Thistle Cove. Relax by the water at Lucky Bay and Blue Haven Beach. There's lots more to do: kick back and relax at Salmon Beach, stroll through West Beach, take in the exciting artwork at Cindy Poole Glass Gallery, and steep yourself in history at Esperance Stonehenge. To see reviews, ratings, traveler tips, and other tourist information, you can read our Esperance attractions planner. Traveling by car from Albany to Esperance takes 5 hours. Alternatively, you can fly; or take a bus. December in Esperance sees daily highs of 30°C and lows of 15°C at night. Wrap up your sightseeing on the 24th (Tue) early enough to travel to Eucla. Eucla is the easternmost locality in Western Australia, located in the Goldfields-Esperance region of Western Australia along the Eyre Highway, approximately 11km west of the South Australian border. On the 25th (Wed), enjoy the sand and surf at Eucla National Park. Get ready for a full day of sightseeing on the 26th (Thu): make a trip to Bunda Cliffs, then contemplate the long history of Eucla Jetty, then steep yourself in history at Old Telegraph Station, and finally tee off at Nullarbor Links. To see other places to visit, reviews, photos, and other tourist information, read our Eucla trip builder . You can drive from Esperance to Eucla in 11 hours. Another option is to fly. Wrap up your sightseeing on the 26th (Thu) to allow time to travel to Port Lincoln. You'll explore the less-touristy side of things at Glen Forest Tourist Park and Fishery Bay. Visiting Food Tours and Shark Diving will get you outdoors. The adventure continues: look for all kinds of wild species at Mikkira Station, make a trip to The Old Mill, and cruise along Winter Hill Lookout. To find where to stay, other places to visit, maps, and more tourist information, refer to the Port Lincoln day trip tool . You can drive from Eucla to Port Lincoln in 10.5 hours. Alternatively, you can fly. Traveling from Eucla to Port Lincoln, you'll lose 1 hour due to the time zone difference. Wrap up your sightseeing on the 29th (Sun) early enough to travel to Kangaroo Island. Take a break from the city and head to Stokes Beach and Kelly Hill Caves. Discover out-of-the-way places like Cape Willoughby Lighthouse Keepers Heritage Accommodation and Kangaroo Island Wildlife Park. 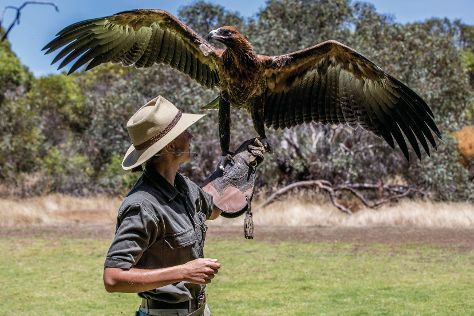 There's lots more to do: identify plant and animal life at Hanson Bay Wildlife Sanctuary, take in the dramatic natural features at Admirals Arch, indulge your taste buds at Kangaroo Island Spirits, and make a trip to Emu Ridge. For more things to do, photos, reviews, and more tourist information, go to the Kangaroo Island online tour itinerary planner . Traveling by flight from Port Lincoln to Kangaroo Island takes 3 hours. Alternatively, you can do a combination of car and ferry; or do a combination of bus, ferry, and taxi. Finish up your sightseeing early on the 1st (Wed) so you can travel to Leura. Leura is a suburb in the City of Blue Mountains local government area that is located west of the Sydney central business district in New South Wales, Australia. Kick off your visit on the 2nd (Thu): trek along The Giant Stairway, take in the dramatic scenery at Bridal Veil Falls, and then skim along the rocks with a canyoning and rapelling tour. Get ready for a full day of sightseeing on the next day: tour the pleasant surroundings at Prince Henry Cliff Walk, then get great views at Govetts Leap, then take in the dramatic scenery at Wentworth Falls, and finally explore and take pictures at The National Pass. To find ratings, other places to visit, maps, and tourist information, use the Leura trip planner . Getting from Kangaroo Island to Leura by combination of flight and train takes about 7 hours. Other options: do a combination of car and ferry; or do a combination of taxi, ferry, bus, and train. In January in Leura, expect temperatures between 34°C during the day and 20°C at night. Cap off your sightseeing on the 3rd (Fri) early enough to go by car to Canberra. Discover out-of-the-way places like Australian National Botanic Gardens and ANZAC Parade Walk. Popular historic sites such as Mugga-Mugga Cottage and Canberra Rotary Peace Bell are in your itinerary. 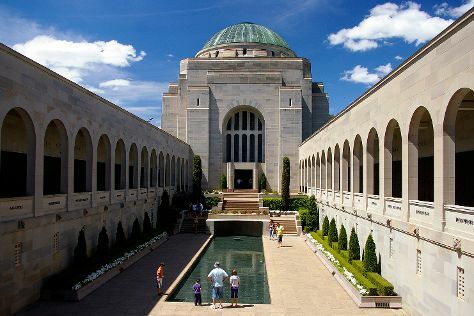 There's still lots to do: identify plant and animal life at Tidbinbilla Nature Reserve, pause for some photo ops at Australian Vietnam Forces National Memorial, ponder the world of politics at National Library of Australia, and take an in-depth tour of Australian War Memorial. To see where to stay, reviews, maps, and more tourist information, refer to the Canberra travel route app . You can drive from Leura to Canberra in 4 hours. Alternatively, you can do a combination of train and flight; or do a combination of train and bus. Traveling from Leura in January, you can expect nighttime temperatures to be a bit cooler in Canberra, with lows of 15°C. Cap off your sightseeing on the 6th (Mon) early enough to travel to Walhalla. Once one of Australia's richest towns and home to over 4000 gold seekers, the sleepy mountainside township of Walhalla is now frozen in time and is home to only 20 residents. On the 7th (Tue), steep yourself in history at Long Tunnel Extended Gold Mine, appreciate the extensive heritage of Walhalla Tramline Walkway, then stroll the grounds of Walhalla Cemetery, and finally delve into the lush surroundings at Baw Baw National Park. To see more things to do, maps, photos, and other tourist information, you can read our Walhalla travel route planner . The Route module can help you plan travel from Canberra to Walhalla. When traveling from Canberra in January, plan for slightly colder days in Walhalla, with highs around 30°C, while nights are about the same with lows around 15°C. Wrap up your sightseeing on the 7th (Tue) to allow time to travel to Wilsons Promontory National Park. Get outdoors at Squeaky Beach and Picnic Bay. Discover out-of-the-way places like Wilsons Promontory National Park and Mt Oberon Summit Walk. Spend the 10th (Fri) exploring nature at Little Waterloo Bay. For photos, reviews, ratings, and other tourist information, you can read our Wilsons Promontory National Park road trip planning website . You can drive from Walhalla to Wilsons Promontory National Park in 2.5 hours. Finish up your sightseeing early on the 10th (Fri) so you can travel to Werribee. Werribee is a suburb of Melbourne, Victoria, Australia, 32 km south-west of Melbourne's Central Business District, located within the City of Wyndham local government area. On the 11th (Sat), identify plant and animal life at Heathdale Glen Orden Wetlands, stroll through Werribee Open Range Zoo, and then admire the natural beauty at Victoria State Rose Garden. For reviews, maps, and other tourist information, you can read our Werribee trip planner. Drive from Wilsons Promontory National Park to Werribee in 3.5 hours. Expect a daytime high around 30°C in January, and nighttime lows around 17°C. Wrap up your sightseeing on the 11th (Sat) to allow time to drive to Torquay. 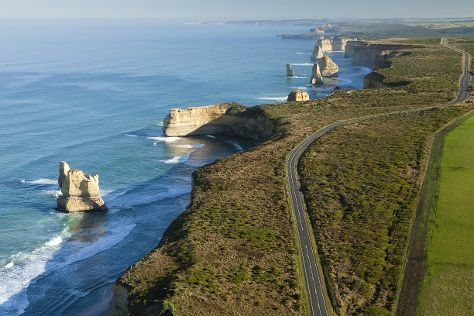 Kick off your visit on the 12th (Sun): admire all the interesting features of The Great Ocean Road and then kick back and relax at Bells Beach. Get ready for a full day of sightseeing on the 13th (Mon): delve into the lush surroundings at Lorne Beach. For photos, reviews, and more tourist information, you can read our Torquay journey planner. You can drive from Werribee to Torquay in an hour. Alternatively, you can take a train; or do a combination of train and bus. January in Torquay sees daily highs of 30°C and lows of 16°C at night. Wrap up your sightseeing on the 13th (Mon) to allow time to drive to Port Campbell. Port Campbell is a coastal town in Victoria, Australia. Take a break from the city and head to Great Ocean Walk and Port Campbell precinct and foreshore. Step off the beaten path and head to Gibsons Steps and The Arch. Spend the 16th (Thu) exploring nature at Port Campbell National Park. The adventure continues: take some stellar pictures from Loch Ard Gorge. To see more things to do, other places to visit, reviews, and tourist information, read our Port Campbell trip itinerary builder tool . Traveling by car from Torquay to Port Campbell takes 2.5 hours. Alternatively, you can take a bus. Finish up your sightseeing early on the 16th (Thu) so you can go by car to McLaren Vale. McLaren Vale is a small rural town in South Australia famous for producing world class red wine. Get outdoors at Aldinga Beach and Onkaparinga River National Park. Step off the beaten path and head to Maslin Beach and Thaxted Park Golf Club. The adventure continues: explore the gorgeous colors at Port Noarlunga Reef, take in the architecture and atmosphere at St Joseph's Catholic Church, do a tasting at Fox Creek Wines, and identify plant and animal life at Aldinga Scrub Conservation Park. For reviews, maps, other places to visit, and more tourist information, read McLaren Vale trip itinerary site . Getting from Port Campbell to McLaren Vale by car takes about 8 hours. Other options: take a bus; or do a combination of bus and train. In January, plan for daily highs up to 34°C, and evening lows to 19°C. Finish your sightseeing early on the 19th (Sun) so you can drive to Adelaide. 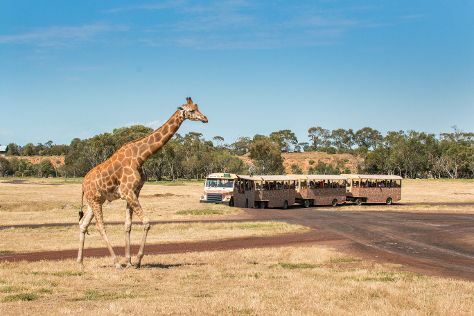 Get outdoors at Gorge Wildlife Park and River Torrens Linear Park Trail. Discover out-of-the-way places like Henley Beach and Stand-Up Paddleboarding. Explore the numerous day-trip ideas around Adelaide: Semaphore Beach (in Semaphore) and Hallett Cove Conservation Park (in Hallett Cove). Spend the 25th (Sat) exploring nature at Belair National Park. Next up on the itinerary: enjoy the sand and surf at Glenelg Beach, take the plunge with a skydiving experience, identify plant and animal life at Cleland Wildlife Park, and catch a live event at Adelaide Oval. For photos, maps, ratings, and other tourist information, use the Adelaide day trip planning website . You can drive from McLaren Vale to Adelaide in an hour. Other options are to take a train; or take a bus. Expect a daytime high around 34°C in January, and nighttime lows around 19°C. Cap off your sightseeing on the 27th (Mon) early enough to travel back home.